With no less than nine workshops, and four plenaries, the seminar offered us great opportunities to hear stories, experiences and analyses from a wide array or organisations and speakers. Our warmest thanks to all speakers for making their presentation available wide and large! How to set up access to land initiatives? Jocelyn Parot, Urgenci and Peter Volz, Die Agronauten, Why is land an issue for CSA? The morning was dedicated to a review of policy opportunities and challenges, both at European and national. 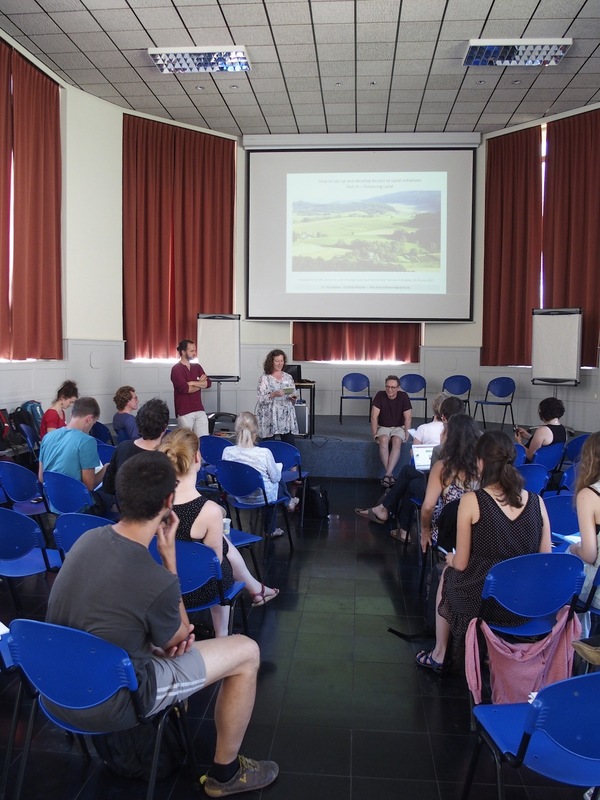 Plenary: Land, an EU policy issue? Gary Mitchell, CLAS, Wales: the land of opportunities? Notes on these sessions are still upcoming! During our concluding session, we received the gift of a song from singer Robin Grey, from Three Acres and a Cow, who led us into singing one of the emblematic songs in the history of English land struggles.